In the scope of the SME2 project, the Slovene GoOpti branch received a special visit by representatives of the Institute on Transport and Logistics and students of transport and logistics from Ravenna, Italy. A group of 20 enthusiastic guests decided to get to know GoOpti as an example of a successful business practice in innovative passenger transport. On Wednesday, 12 April 2017, the visitors were greeted by a cofounder and the CEO of GoOpti, Mr. Marko Guček, who presented the GoOpti story from its beginnings to the transformation into an innovative IT platform, which successfully connects passengers with transport companies. The award-winning digital GoOpti platform for a smart management of passenger transport has been receiving increasing attention of experts since the digitization of the economy has become a hot topic in domestic and foreign circles. Dr. Andrea Bardi, the director of the institute, presented their work and the purpose of the research visit: to explore GoOpti as an innovative company with a successful internationally recognized business model focused on mobility. The visit was also dedicated to presenting an example of a good business practice from abroad to the students, as transport and logistics companies in Italy still seem to be rather conservative. The visibility of GoOpti in foreign countries results also from the activities carried out in the scope of the SME2 project, aimed at internationalization. Last year, GoOpti successfully launched its services in the Italian market, so the visitors (who are also our regular customers) followed the presentation with great interest. 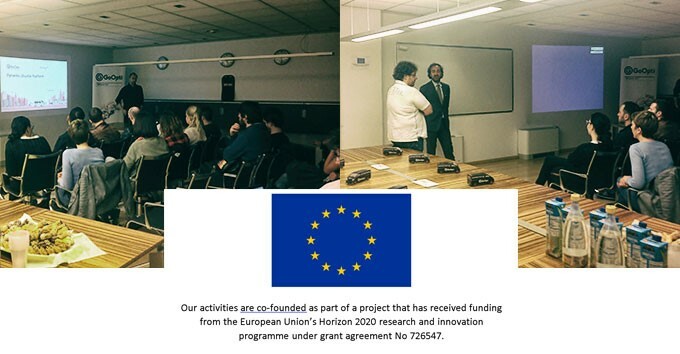 Dr. Boris Horvat, a cofounder of GoOpti, presented the project activities in detail and stressed the importance of key personnel for the growth of the company as well as the importance of cooperation between R & D institutions and commercial companies. The event was concluded by a pleasant conversation about further cooperation and by setting the foundations for future joint projects.